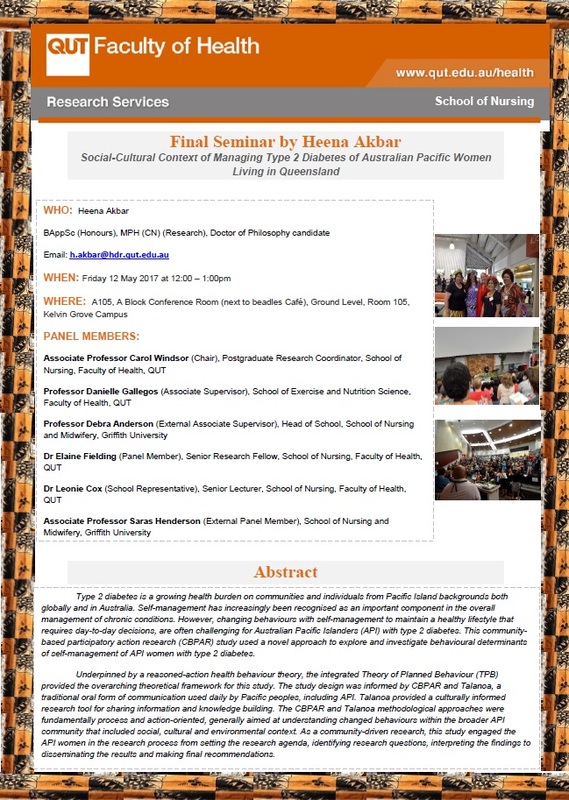 Heena Akbar, PWA Member and PHD Student at the Queensland University of Technology, will be presenting her final seminar on her research focusing on diabetes in the Pasifika community. This study has been very much a key focus for our Pasifika Women’s Alliance as one of our objectives is to work towards keeping and creating a healthier environment for our families, children and communities. This will be a huge accomplishment not only for Heena but especially for our Pasifika community here in Brisbane. Please come along and support Heena!